ForrestBrown has been ranked number 47 in the Sunday Times 100 Best Small Companies to Work For (2018). 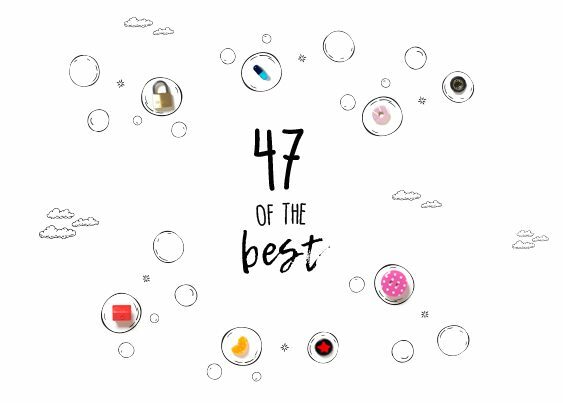 To celebrate, we’re counting down 47 reasons, from perks and progression opportunities to Workout Wednesdays and rewarding work, why we’re proud to work for such an amazing company. We’re one of the UK’s largest teams of chartered tax advisers specialising in R&D tax credits. We’ve gone from five to over 50 employees in just 4 years, and we’re not planning on slowing down. We’re hoping to increase staff numbers from 63 to 150 in the next three years. We delight clients by identifying their R&D and qualifying costs to give them a cash boost. In 2017 alone, we’re thrilled to have delivered more than £75 million for our clients. Our clients use the benefit we deliver to spark the next big project, or create something remarkable. We’re committed to building brilliant relationships, and advise over 100 companies a month. We work hard. But we enjoy ourselves, too, and always make time for a beer on a Friday at our in-house bar. Our office is stocked with fresh fruit – helping us get our 5 a day. We care about health and wellbeing. So, on Wednesdays, we have the option to start our day later to make time for a quick morning sweat. From chartered tax advisers and industry specialists to project managers and marketers, our team combines all kinds of skills and backgrounds. That’s what makes us who we are. We don’t think suits equal outstanding work. That’s why we don’t wear suits at all. We worked with local Bristol microdistillery and client, Psychopomp, to craft our very own batch of gin; The ForrestBrowner. Our office is located in Clifton, a leafy and buzzing suburb of Bristol. Food and beverage. Aviation. Creative. Manufacturing. Construction. Technology. Our clients span across a vast number of sectors. We focus on solutions, not suits – we’re committed to delivering outstanding results for our clients rather than sticking to corporate norms. Some of our work is helping a client restore and improve Alfa Romeos from the 1950s. Being part of ForrestBrown means being part of our quarterly socials and annual parties. We love to celebrate after working hard for our clients. Following a vanilla shortage, our work is helping a client research and develop a synthetic vanilla taste to go in ice cream, which is now being distributed to supermarkets across the UK. Phew. Simon, founder and managing director here at ForrestBrown, often leads a team of runners across Clifton Down near our office. We were named ‘Best Independent Consultancy firm’ at Tolley’s Taxation Awards 2016 – and we’ve been shortlisted for the same award in 2018 too. The Learning Lab – theoretical, class-room based and practical modules ensure we’re continuously challenged. We run weekly knowledge-sharing sessions and are all encouraged to attend external training courses. We’re smaller than the Big 4, so we don’t feel like cogs in a big machine – we’re all individuals, valued for what we do and who we are. Last year, we headed to Usk Castle in Wales for 24 hours of bonding and adventure. Rome. Copenhagen. Reykjavik. Our annual Christmas parties get us in the festive spirit. As well as a competitive salary, we also offer employees a bonus scheme. We’re an Institute of Chartered Accountants accredited training employer. We all sit together in an open-plan office space. Our tax associate programme currently has 14 staff working towards their Chartered Tax Adviser (CTA) qualifications. Being part of alliantgroup, the US’ premier tax credits provider, will give us a global footprint and help us continue to grow without compromising our high standards. 54% male. 46% female. We’re proud of our diverse team. Our staff turnover is an impressive 5%. 88% of us are happy with our pay and benefits. The work we do isn’t just for the here and now. 94% of employees say that the experience they gain here at ForrestBrown is valuable for their future. For the measure in our Best Small Companies listing, a whopping 98% of us ranked Simon, our managing director, an inspiring and brilliant leader. We feel proud to share in our common purpose to help innovative businesses grow. If you want to discover 47 reasons to love ForrestBrown, and maybe even a few more, then join our growing team – we’re growing fast and looking for talented people to join us. You can find our latest vacancies here. However, if you have something special to offer – feel free to get in touch. Want to find out what life is really like at ForrestBrown? Don’t just take our word for it - take a look at what’s going on for yourself. If you’re interested in joining the team – or just want to talk a little bit more about where you could fit in – get in touch.